Repair Outlook Personal Folder File (.pst) in ANSI and Unicode file format supported by Microsoft Outlook where these file types are older file type and the most advanced standard file type respectively. Outlook PST Repair Tool fix severely damaged Outlook PST data files from Microsoft Outlook 2019, 2016, 2013, 2010, 2007, 2003 & 2000 Version. With the help of PST File Recovery tool, a user can repair Outlook data file in just a few number of clicks. 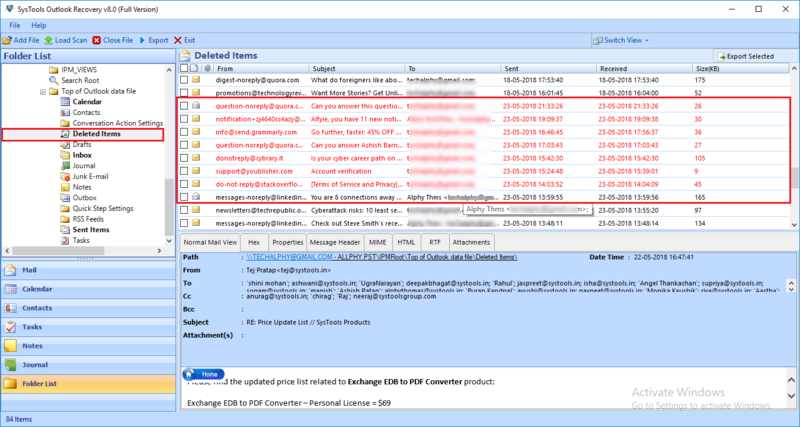 The tool is capable enough to restore deleted emails, contacts, etc from PST file. After recovering PST file data, the software provides an instant preview of all data items stored in PST file. It provides a preview of all attachments also associated with each email. When it comes to repairing damaged Outlook file, the PST Recovery tool provides an Advance Scan Mode. A user just needs to check this option in order to repair corrupt PST file. The tool will quickly scan the file and recover all data items stored in it. In addition, the tool does not have any file size limitation to perform Outlook PST File Recovery. After recovering PST file data items using this Outlook PST Repair Tool, a user can save the recovered file in multiple file formats. Using this export option, a user can save the file in PST, MSG, HTML, EML format. However, exporting recovered PST file, a user becomes able to open & read data in other supporting applications as well. The PST File Repair software is designed in such a manner that while recovering Outlook PST file, the tool will preserve original formatting of all the data items. In addition, it maintains the meta data also even after PST file recovery like size, to, cc, date, from etc. It keeps the Meta properties of attachment also intact original. 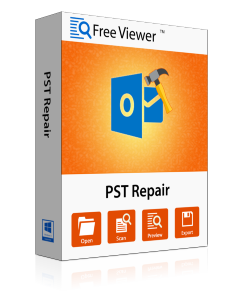 If a user wants to move selective Outlook data files or folder, then one can simply use this PST Repair Tool. A user just needs to check or uncheck the files or folders and export PST file items selectively without any hassle. Moreover, in order to export selective amount of data from a specific date range, use date filter option offered by the tool. While saving recovered file in PST format, the tool provides users an option to divide large Outlook PST mailbox into the small part by size. A user just needs to check the Split PST File option and choose the size from the provided field. The Outlook Recovery Software will break MS Outlook PST mailbox and make it easier for a user to manage small files. The Outlook PST Repair tool provides users an option to export recovered PST files in EML or MSG formats. Therefore, while saving the file in EML or MSG, a user can choose any of naming convention to save the emails. This will make it easy for the user to manage email in a proper way. After exporting & recovering PST file data, the PST recovery software will create a complete report of all the export process. This report contains all the details of the export process like selected mailbox location. A user can also save the Export Report in CSV format for future reference. Demo of PST Repair Tool can only Preview Recovered Data & Export 25 Items/Folder. For Windows 10, 8.1, 8, 7, Vista users, launch the tool as "Run as Administrator"
Explain the working of PST Repair Tool? Step 1: Install & run the Outlook PST Recovery Tool. Step 2: Click on Add File button from the Menu bar. Step 3: Browse and add the PST file. After that, choose scanning option and the software will scan and recover the entire file. 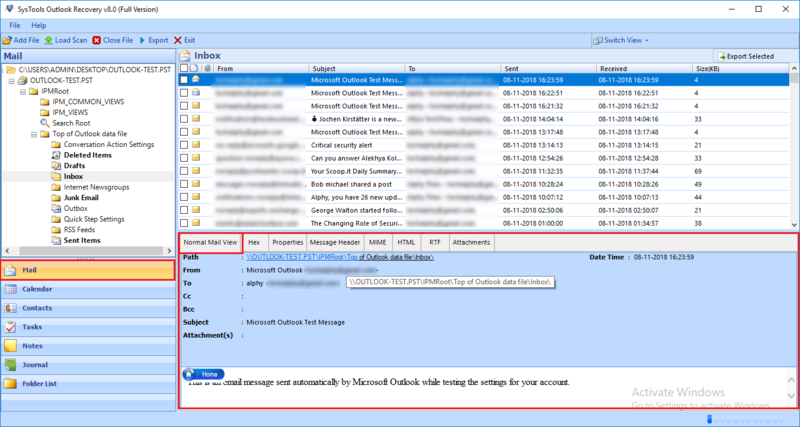 Step 4: Now, you can see all the data items from the Outlook PST file. Select any number of data items and click on Export button. Step 5: The application will provide 4 export options: PST, EML, MSG and Office 365. Step 6: Choose the option and apply settings as per required. Browse to the destination location where you want to save the output file and finish the process. Step 7: After the complete Export process, you can view all the output files at the destination location. Is it possible to recover ANSI type PST File with the help of this Outlook PST Recovery tool? Yes, the tool supports both ANSI & UNICODE type PST file. Therefore, one can use this Outlook Recovery Tool to recover ANSI type PST file as well. Is it necessary to install Microsoft Outlook application on the system to restore PST file? No, it is not mandatory to install Outlook application on the local machine. 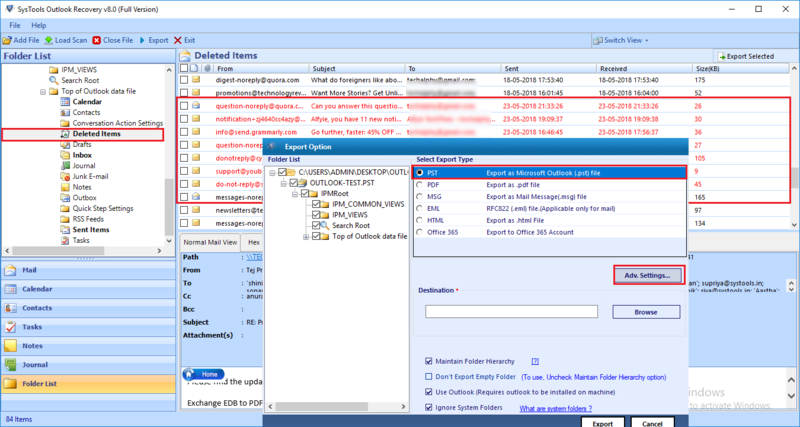 The Outlook PST Repair Tool provides an option to restore PST data without Outlook Installation. Can I restore deleted PST file also with the help of this Outlook Recovery Tool? No, this software does not restore deleted PST file but it recovers deleted items from OST file like emails, contacts, calendars, etc. Does the PST Repair Tool compatible with Microsoft Windows 10 OS? Yes, the software is compatible with all versions of the MS Windows, including Windows 10. Is it possible to split large size resultant PST file using this PST Recovery Tool? Yes, while saving the file in PST format, the tool provides users an option to split Outlook data file (.pst) by size. Does the software support all versions of Microsoft Outlook? Yes, the PST Repair Tool is compatible with all editions of Microsoft Outlook. Therefore, a user can easily use it for any version of MS Outlook. "I haven’t ever come across such a wonderful product that can solve all the problems related to vCard conversion with such an ease. I had few corrupted VCF files to be imported in PDF. I wasn’t able to find any proper solution. So, it was quite challenging for me. Then one day, I came across the tool. This utility served my purpose. Thanks team for your wonderful effort." "With the help of PST Repair Tool, one can easily migrate damaged data from PST mailbox to Office 365 account. It was nearly impossible for me to move all the data items to my O365 account. But when I used this tool, I got surprised with the smooth functioning of the software. The tool migrated data in plenty of minutes. Thanks for such utility!" "I want to thank FreeViewer team for developing such an amazing tool. 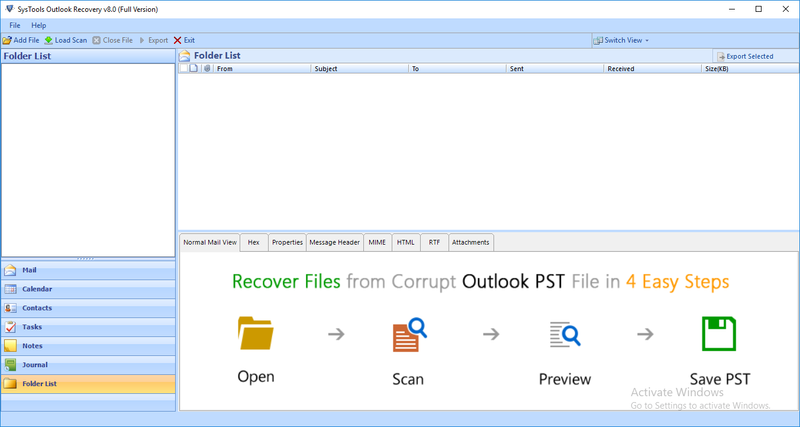 This application really works for me in converting all the emails of Outlook PST database to MSG file formats. Now, I got individual emails in the form of MSG file format. I am pleased with this software that I want to recommend this tool to everyone who all are looking for an effective solution." "The best part that I liked about this software is that it provides me an option to recover PST file and export only selective of them to PST, EML and MSG format. Moreover, the user interface of the software is so simple that I did not find any difficulty in using this tool."